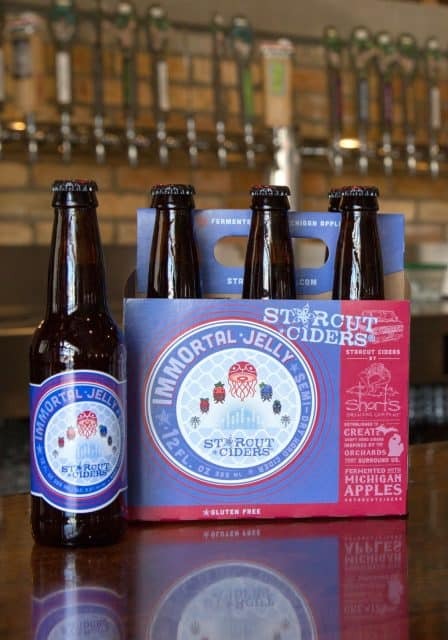 Elk Rapids, Michigan-based Starcut Ciders has announced the seasonal release of Immortal Jelly. Immortal Jelly (5.2% ABV) is a semi-dry hard cider inspired by parent Short’s Brewing Company’s Soft Parade, an eminently drinkable Fruit Rye Ale brewed with rye flakes and loaded with pureed strawberries, blueberries, raspberries and blackberries. The rose-colored ale has aromas of ripe strawberries and grain. Immortal Jelly is fermented with Michigan apples and a blend of raspberries, blueberries, blackberries and strawberries. This cider is rose in color and has scents of tart fruit. Immortal Jelly’s complex blend of berry fruit flavors provides a big tart acidity up front before a semi-dry finish. Immortal Jelly will be distributed in bottles and kegs throughout Short’s expanded distribution footprint including Michigan, Pennsylvania, Ohio, Indiana, Illinois, Wisconsin and Colorado. For more information about Starcut Ciders, visit www.starcutciders.com.